For those of you who aren’t familiar with Golden Tote, it is an online styling service that allows you to choose a $49 tote for a two to three items or a $149 for five to seven items. A new sale starts on the first Monday of every month and everyone has the chance to get on the website and choose either one item (for the $49 tote) or two items (for the $149 tote) that they would like to be included in their box. 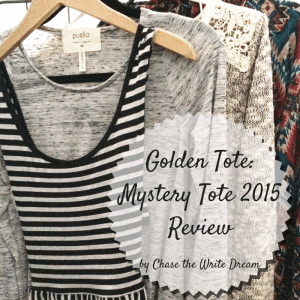 At the beginning of January, Golden Tote released their Mystery Tote. For $60, you would receive a mystery tote according to your size (XS-L) that contained four different items: one that was part of a previous tote, two surprise items, and one special Puella item. In a normal Golden Tote, you would get to choose at least one or two items and then create a style profile so that you can get pieces that match your fashion taste and closet wants/needs (see my previous Golden Tote review for more information on that). The Mystery Tote is different because you don’t choose any items and your style profile isn’t looked at. It’s a bit of a gamble, but I have to say that I am SUPER happy with what I got in my 2015 Mystery Tote! 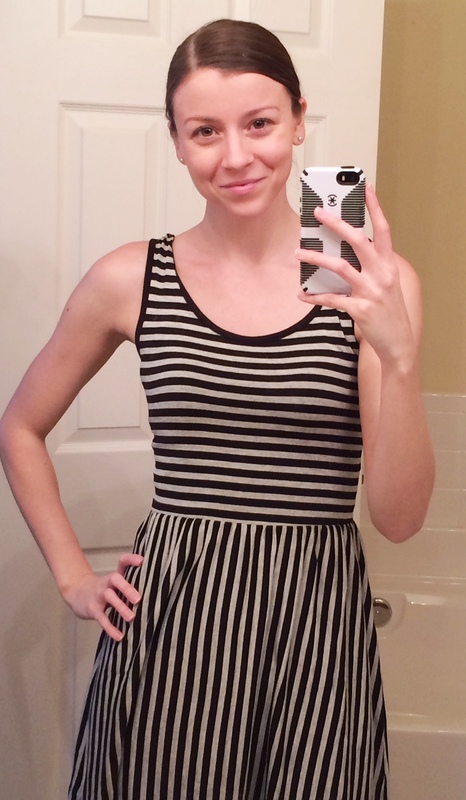 This Priddy by Puella striped sleeveless dress is SO soft! 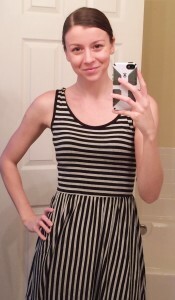 I don’t normally wear a lot of dresses, but this would go perfect with some leggings or skinny jeans. I also feel like I could wear this on its own since the length is just above my knee – a big plus when you’re 5’8″! One of the interesting features about this dress is that it has a small cutout in the back. 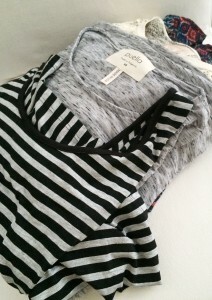 I actually tried this item on with a black cami underneath and it fit perfectly. The cami covered the cutout and didn’t show elsewhere, making this piece versatile enough so that I can wear it more than just out on the town. 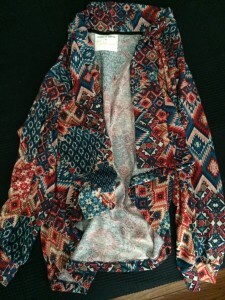 In fact, I think it would look quite cute with one of my black cardigans or blazers! I already know some people are going to hate on this Puella tunic because it’s thin and long for some, but I have to say that this top was perfect for me! 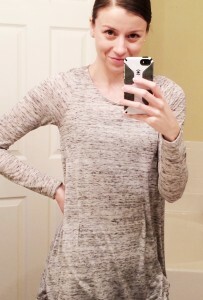 Not only are the sleeves a good length, but the shirt itself is also long enough for me to wear with leggings or a cute pair of black skinny jeans. I’m actually wearing a black cami underneath this tunic in the picture above – you can see it a little, but not terribly. I have a cream undershirt that will work great with this Puella tunic. I can’t wait to wear it! So far, the 2015 Golden Tote Mystery Tote is 2 for 2! If you’ve been a fan of Golden Tote for at least a few months, then odds are that you saw this beauty back in the October tote. I had my eyes on it and was SO tempted to buy the tote for that month, but I decided (sadly) to let it pass. Well, you can imagine my excitement when I saw it in my XS Mystery Tote! I immediately grabbed it out of the pile and felt how soft the fabric was. Seriously though, the sleeves feel amazing. Like, I could just lounge in that sweater for a week and be content. 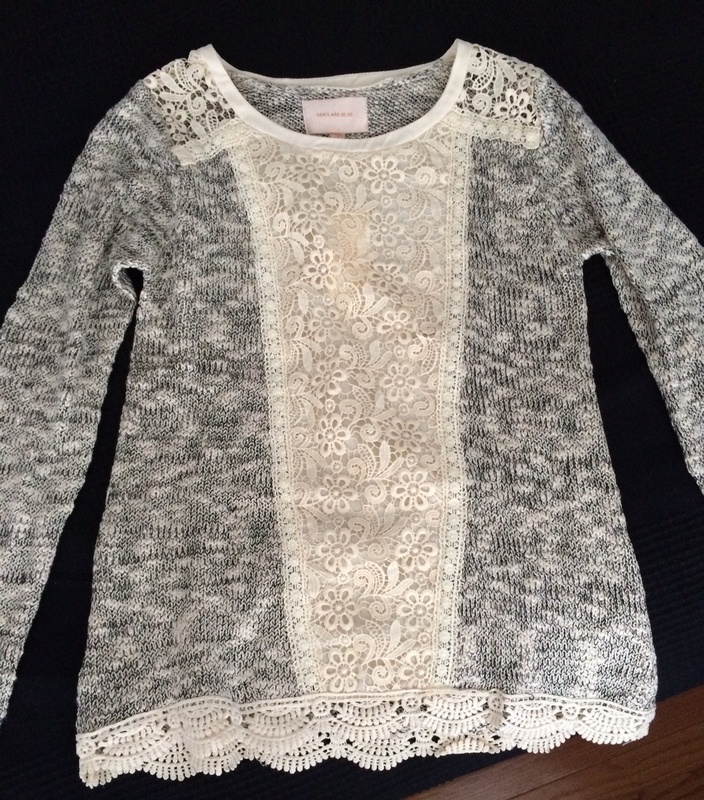 I got a Skies Are Blue top in my August Golden Tote and LOVED it (it’s one of my go-to clothing pieces now), so you can imagine how anxious I am to wear this Lace Panel Pullover Sweater, especially since winter is trying to make its presence known again. We are 3 for 3 so far! If there is one item I would consider switching out in my 2015 Mystery Tote, this one would be it. 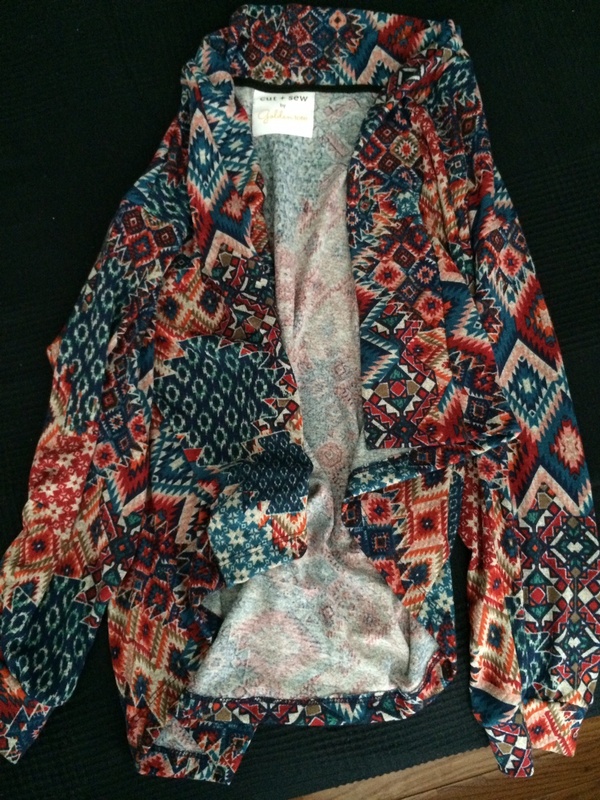 Although I like the feel of the cardigan, I’m just not sure if it’s my style. I do wish that it was longer in front, but I’m all for trying new things and seeing if they work. I’ve seen some other Golden Tote buyers pair this with a belt or some skinny jeans and flats, so maybe I will give that a shot. Overall, it’s not a bad piece – just definitely something I wouldn’t normally pick out myself. But that’s why we order from this online styling services, right? What fun is it if you don’t have a little adventure in you! 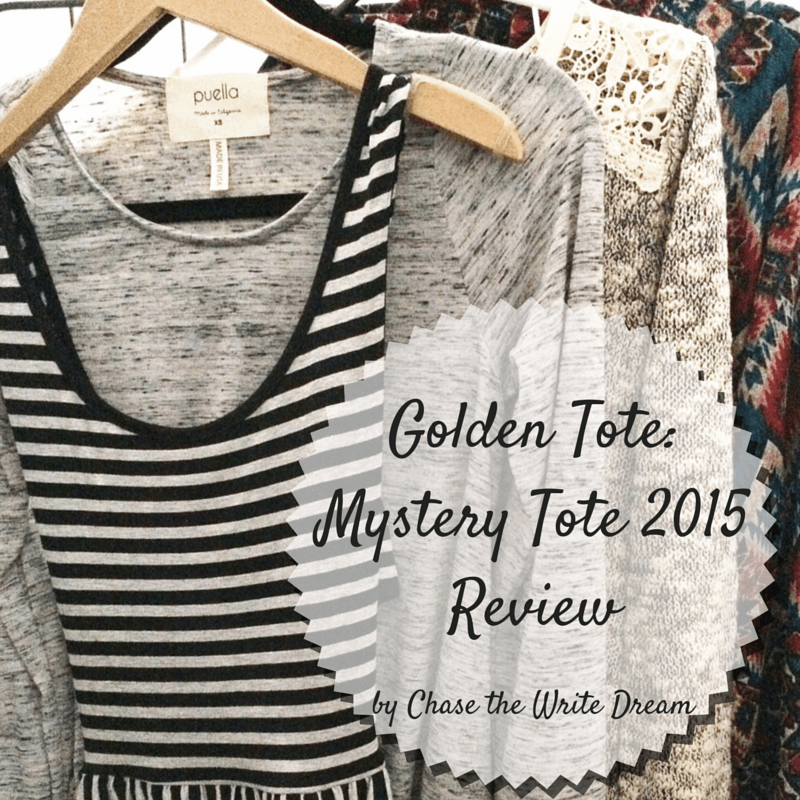 2015 Golden Tote Mystery Tote Verdict: Success! I’m really glad I took a chance and ordered one of these awesome totes. I ended up with some great pieces that I will probably start wearing tomorrow, so I definitely can’t complain about that. On top of it all, I got a piece from an earlier month that I REALLY wanted, so now I don’t have to feel bad about missing out on the October items! Did you get a Mystery Tote this month? What item is your most favorite? Interesting! I have never even heard of Golden Tote – so thanks for the information. I am intrigued!! It’s a pretty cool service! I have only gotten two totes, but I’ve been impressed with both. I feel like you get a great deal given the fact that one or two items alone cost as much as the whole tote. I’m all about getting deals when I can! That dress is super cute. Are you able to return items that don’t want or that don’t fit? Unfortunately, Golden Tote is a take it or leave it kind of deal. If you don’t get a piece that you like you can trade it on one of their Facebook groups, or you can send the entire tote back for a full refund. That’s my one downfall for them. I do hear that people have great success in the trading group of they get something they don’t like! I find that adding detailed comments in the style profile helps! Thanks Rachel! I’m not much of a risk taker myself, but I’ve really enjoyed this service so far. If I ever don’t like a tote, I can always return it for a refund, so at least that’s an option. I did get quite lucky with the Mystery Tote! Thanks for sharing about Golden Tote! I had heard of it in passing but never taken the time to look into it – until now! I will have to peruse the website. Also, you got some really cute things!! When did you order? I’d like to order the mystery tote when I order the feb tote but I’m worried I’ll get the real leftovers! I ordered right when the XS mystery tote went on sale. From what I’ve heard, they have the totes pre-made and ready to ship, so don’t worry about getting leftovers! this is a genius idea! 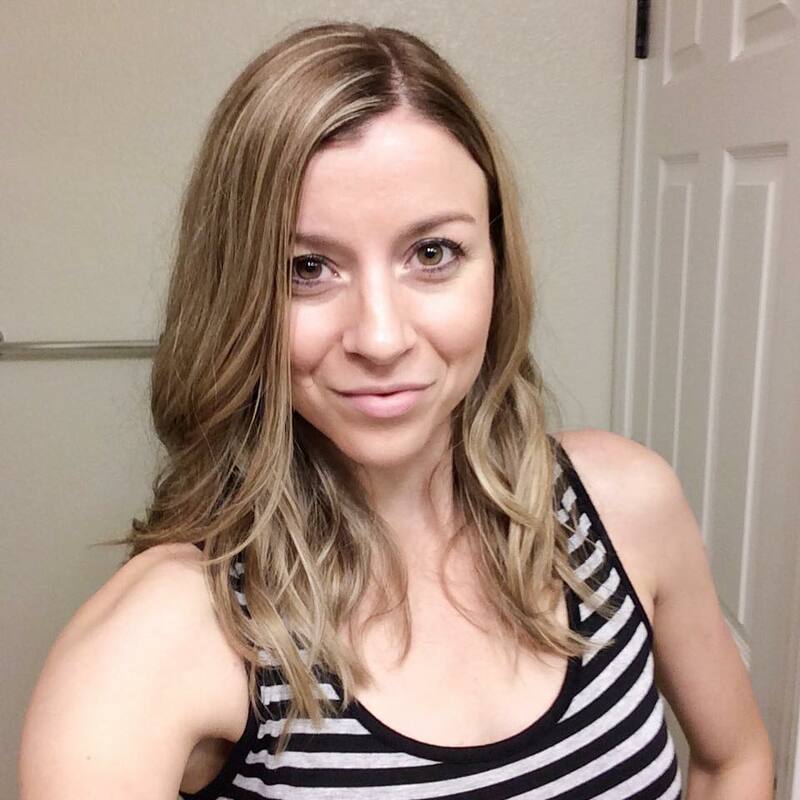 It’s a great way to women with not a lot of time to shop to update their wardrobe. I totally agree! I feel like I can never find good clothes for myself so I’m so glad this service exists! The lace sweater is so cute! I can totally see myself wearing it like every day hahah Love the dress, too, it’s very casual! Everything is so cute and comfortable, it’s hard to choose which to wear first! Lol. Yes!!! I actually had it on with some leggings, black boots, and a black cardigan the other day 🙂 It was perfect!